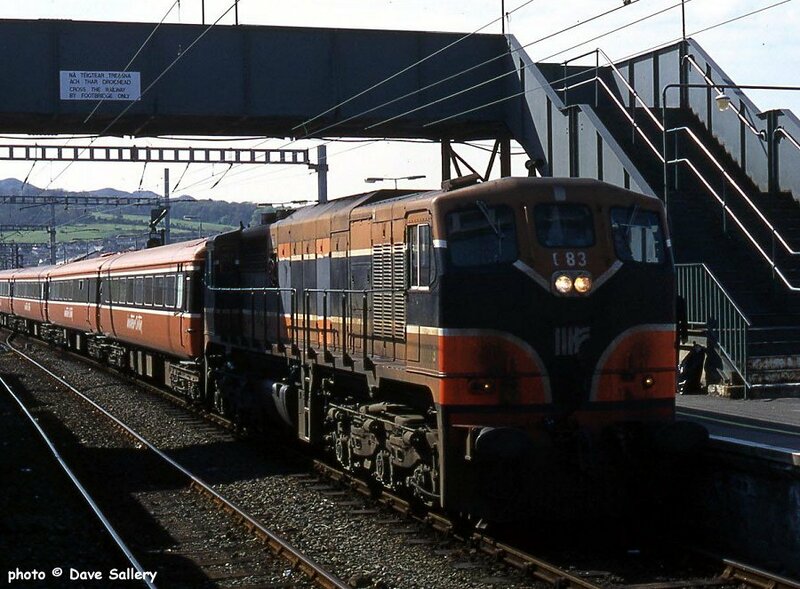 Dun Laoghaire with 150 arriving with the morning commuter train from Arklow, 6 July 1994. 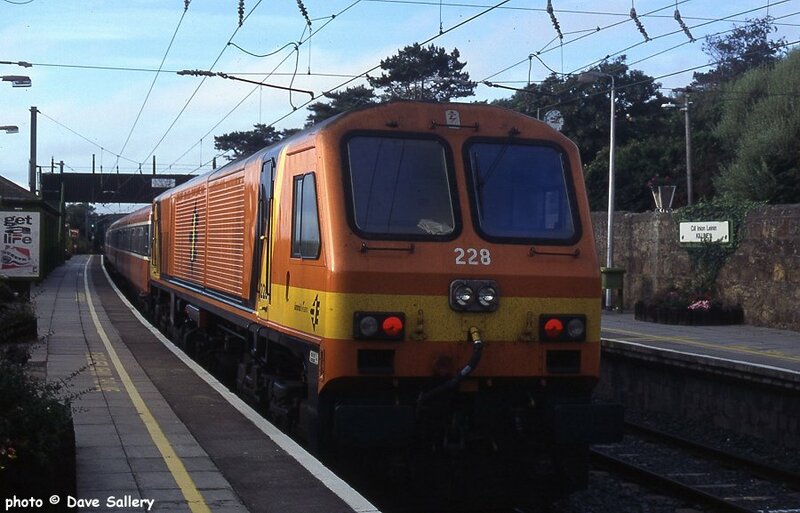 228 on the rear of a Bray train at Killiney, 3 September 1996. 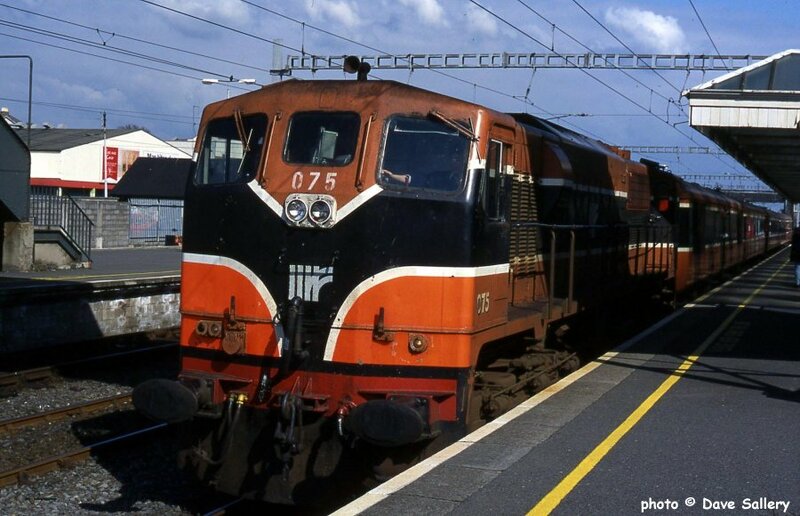 075 at Bray on a Rosslare working, 18 May 1996. 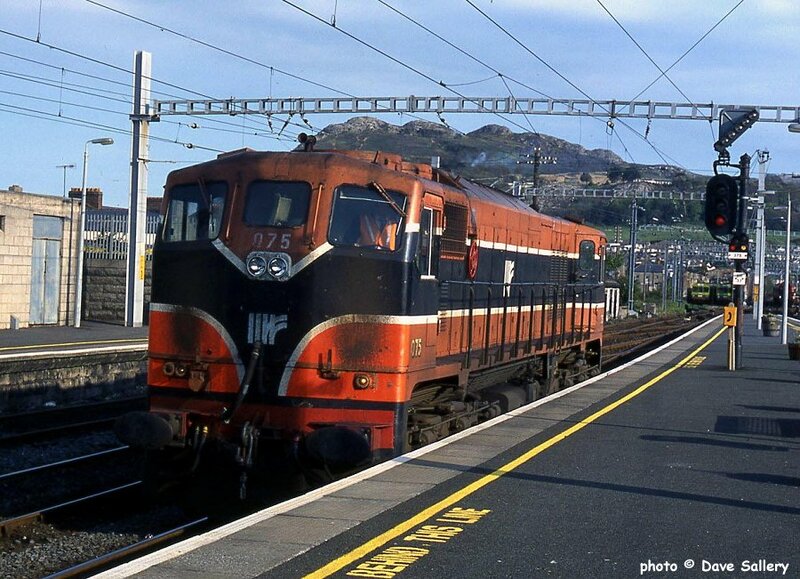 207 about to leave Bray on a Dublin local, 3 September 1996. 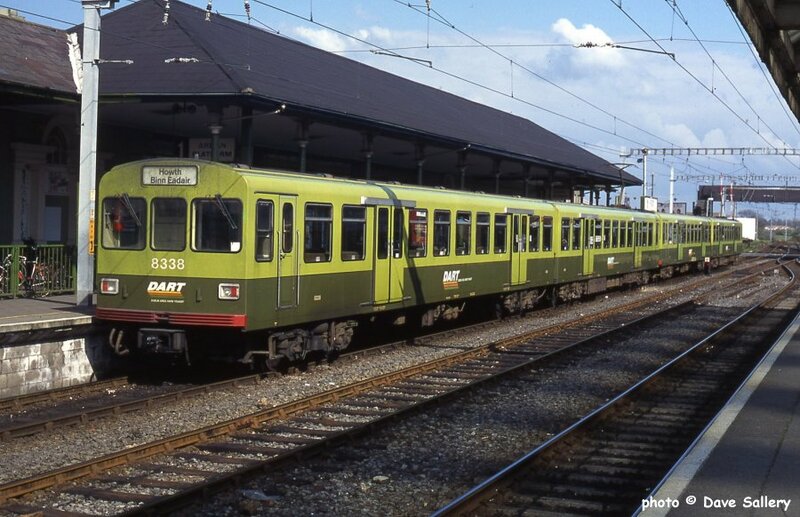 A DART electric for Dublin formed of two of the original 2 car sets, 18 May 1996. 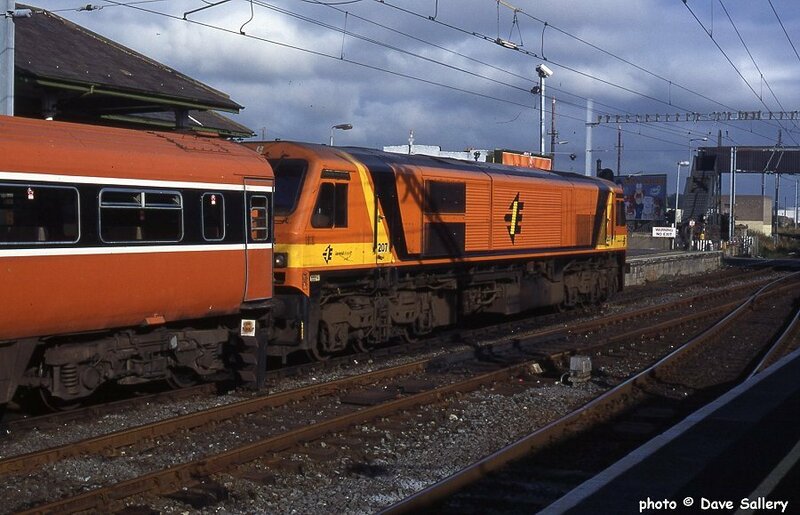 083 arrives at Bray from the south, 18 May 1996. 075 at Bray on the evening of 18 May 1996. 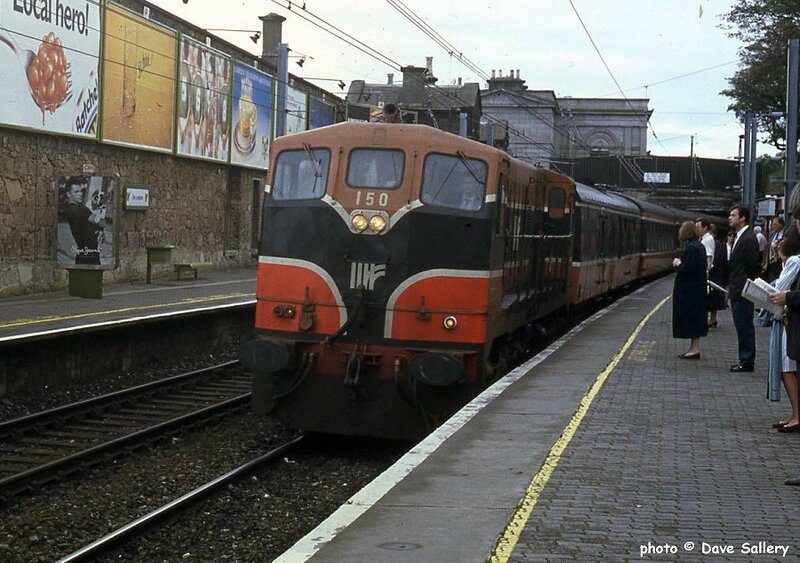 Our train from Rosslare to Dublin was terminated here due to late running.